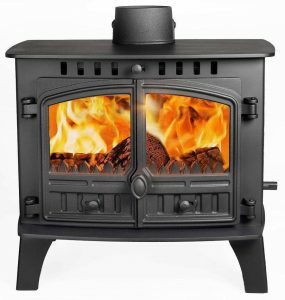 Are you hoping to purchase a multi fuel stove and live in the Kippax, Methley, Great Preston or any of the LS25 areas? The Kippax area is now covered by the Leeds Stove Centre for both the supply and installation of multi fuel stoves. We offer a superb range of stoves in a variety of styles, designs and sizes. We have stoves ranging from contemporary multi fuel stoves to traditional wood burning stoves. Not only do they look fabulous but also perform well too, often heating whole homes. Many of our stoves are available to view working in our extensive 4 floor showroom in Pudsey, just 16 miles from Kippax. Visiting our showroom ensures that you get the opportunity to see how a stove operates, the options available and the choices of hearths, chambers, etc. Our informative staff can talk you through the whole process, advise on products and offer a quotation based on your decisions. At Leeds Stove Centre we believe that it is important to supply the highest standard of stoves at the best possible prices. Therefore we not only supply stoves from the leading manufactures such as Hunter, Stovax, Morso and Esse, but also such as Di Lusso and Dik Guerts! With such a great choice of brands and with a variety of designs to select from, we are certain you will find the stove you want. If you would like the stove installing, we are happy to announce that we employ our own HETAS registered engineers who are also capable of working on all types of flue systems. This eliminates any third parties or sub-contractors. You can call us on 0113 255 5622 for any further information on our products or services or to book a free installation survey.